Travel is good for both the mind and the soul. It gives us the opportunity to explore the world and broaden our cultural horizons. 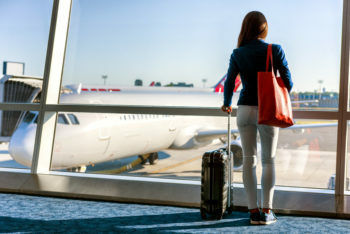 But even the most environmentally conscious traveler may not realize how much pollution and waste they produce during an ordinary business trip or vacation. By following a few simple tips, you can reduce your impact on the environment while still enjoying your trip. 1. Book a non-stop flight – Carbon emissions from airplanes are highest during takeoff and landing. By flying directly to your destination, you can not only save time and hassle but can also minimize the amount of air pollution caused by your journey. 2. Stay at a green hotel – The hotel industry is rapidly realizing that guests value environmental consciousness nearly as much as they do luxury. Through the use of recycled materials in construction, creating energy through solar power, or setting up recycling programs for waste, these hotels strive to balance out customer satisfaction and environmental impact. Check out Sustainable Travel International to find an eco-friendly hotel near your destination. 3. Reduce your driving – Renting a car is a good way to get a feel for a region’s traffic but to really understand a place you should explore it by foot, bicycle, or public transportation. Not only will you see more, but you will not be adding car exhaust to the air around you. If you have no choice but to rent a car, choose a fuel-efficient model like a hybrid to minimize your emissions. 4. Respect Nature – Exploring the wilderness is both peaceful and exhilarating. To preserve that beauty for future generations, be sure that you leave no trace of yourself behind. Pack out your trash and dispose of it properly. Thoroughly extinguish fires and leave nothing behind at your camp/picnic sites. Always stay on marked trails — not only is it surprisingly easy to get lost, but you may accidentally trample delicate vegetation or disrupt the homes of wild animals. You don’t have to choose between traveling or helping the environment. By following the principles of Green Travel, you can do both! For more tips on living green, contact us.